Maple Crossing condominiums are located on Maple Avenue in Milton. These are low rise condominiums. There are five condominiums in this complex:1471 Maple Ave, 1479 Maple Ave, 1483 Maple Ave and, 1487 Maple Ave and 1491 Maple Ave.
Each condominium is four storeys and offers 56 units.Built by Sutherland Development between 2008 and 2009, the buildings share a central party room and fitness room. The Dempsey neighbourhood location provides easy access to the 401 and Milton GO Station, plus nearby shopping and amenites.Enjoy these unique low rise condominiums. 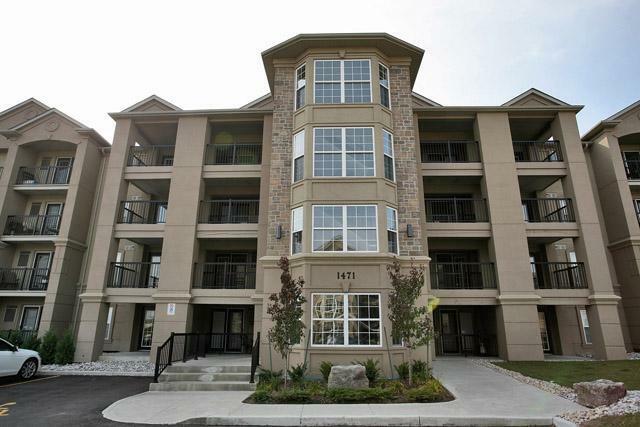 Maple Crossing condominiums offer 1 bedroom , 2 bedroom and 3 bedroom suites. Some 1 bedroom suites come with extra den. 2 bedroom suites come with one or two washrooms and some with large de.Largest Rothchild model and Camelot model are 1350 sq.ft in size. Suites are sold with underground parking and locker. Maple Crossing condo fees include water,parking,maintenance of common elements and building insurance. Heat, Hydro,Central Air condotion and cable tv are extra. Condominium amenities include exercise room and party room.